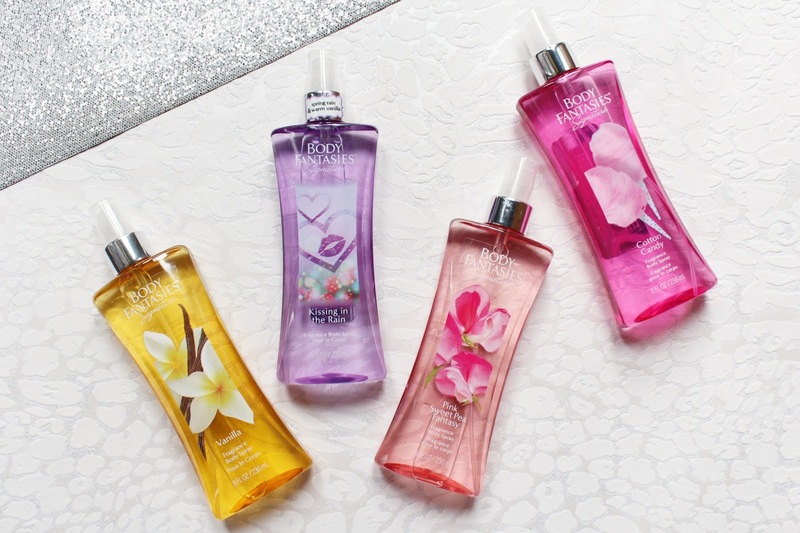 You may remember last year when I raved about the original four Body Fantasies, they are some of the best body sprays on the high street and they have launched four new scents! I have always preferred body sprays rather than perfumes for every day as they are much more affordable and I like to be able to pick and choose my scent every morning. - Vanilla has notes of frosted tangerine, Hawaiian pineapple, Tahitian vanilla bean, vanilla musk and caramel candy. - Cotton Candy has notes of sparkling raspberry, cotton candy accord, strawberry sugar, whipped vanilla and soft caramel. - Kissing in the Rain has notes of juicy orange, spring rain accord, water lily and sweet honeysuckle. - Pink Sweet Pea Fantasy has notes of cyclamen and passion flower, musk, grapefruit, raspberry and passion fruit. I honestly like all four of the new scents but I didn't think I would be a fan of Pink Sweet Pea Fantasy as I usually don't like floral scents but as it has some fruity notes, I have been really enjoying it! I love sweet scents so I love all three of the other scents and especially Vanilla, anything vanilla is my favourite! Cotton Candy is a super sweet and playful scent without being sickly. Kissing in the Rain is probably my favourite scent out of the four at the moment as it has a great mixture of fun and flirty scent notes. 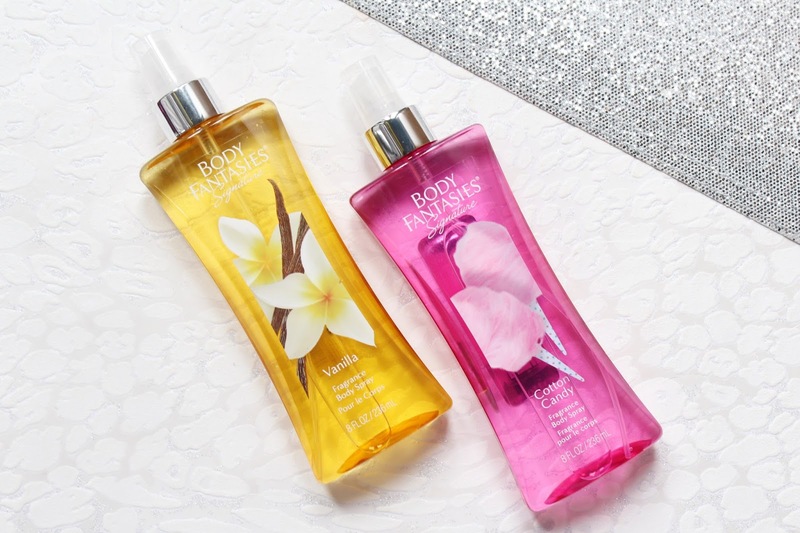 These body mists have been formulated with a higher concentration of perfume oils to provide better and stronger fragrances, the Body Fantasies mists contain 6% of fragrance oil and many competitors only contain 1%! You only need a few spritzes to be able to smell it for a good few hours! They are very long lasting on the skin and clothing which I love as with many body sprays on the high street you can only smell them for an hour or two if you're lucky but these are very impressive! While the four originals were only available in a great handbag friendly size they have all now gone supersized, including all eight scents out in the UK! The bigger sizes are such great value for money as for £8.99 you get 326ml of your selected scent, this is a great deal when you compare them to something like the Victoria's Secret Mists which are much more expensive! All of the Body Fantasies Mists are available at Superdrug - HERE. This post contains press samples, all opinions are my own, also contains affiliate links.